My experience went as well as could be expected. I purchased a used Nissan after a lot of research and shopping around before deciding to visit Starling. My wife and I had great interaction with Dean Lesser. He was very personable and didn't apply any unwarranted pressure. Even after the sale was completed, he called to check if I was still happy with the new ride 5 days later. I will be referring anyone I know looking for a car, new or used, to at least swing by and talk to Dean. Englewood, FL drivers, at Starling Buick GMC, we have a customer first policy, which is why we are the preferred dealer in Venice, FL. Get a quote on any of the new or used vehicles from our huge inventory. Our financing experts will make sure that your buying experience is made hassle-free. Contact us to schedule a test drive for a vehicle of your choice. Take a look at the hours and directions page to get driving directions to our showroom. What are you waiting for, Englewood, FL drivers? 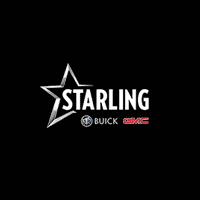 Drop by Starling Buick GMC today!